I’ve spent about a week and half with my new Palm Pre and I’m still enjoying using this phone. This happens to be the week the new iPhone 3GS is being released with all the fanfare you’d expect from an Apple product release. I’m sure it’s a good phone with some nice new features and a lot of people will buy it. That’s cool. I’m not going to compare the two phones – you can find plenty of that information in countless other places. The Palm Pre is what works for me. What I’m excited about today is the the MintyBoost Kit I ordered from Adafruit Industries. What’s a MintyBoost Kit? 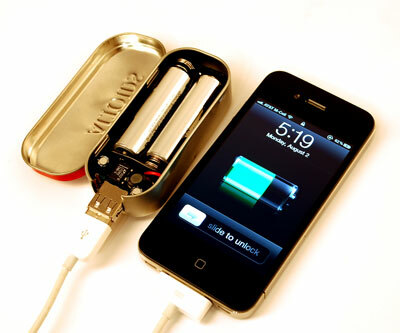 It’s a make-it-yourself portable battery pack and USB charger in a mint tin. Once assembled, the MintyBoost will charge my Pre and many other rechargeable USB devices. I learned about this little $20 device on the PreThinking Blog. My MintyBoost Kit shipped today and I should be receiving it via USPS Priority Mail within the next couple of days. I’ll get it all put together and post an update on how it’s working for me. My MintyBoost should be arriving tomorrow (Friday).